In 1927, an unlikely timepiece was conceived by a daring aviator named Charles Lindbergh and his sketches would eventually be brought to life by one of the premier watchmaking brands of the era. 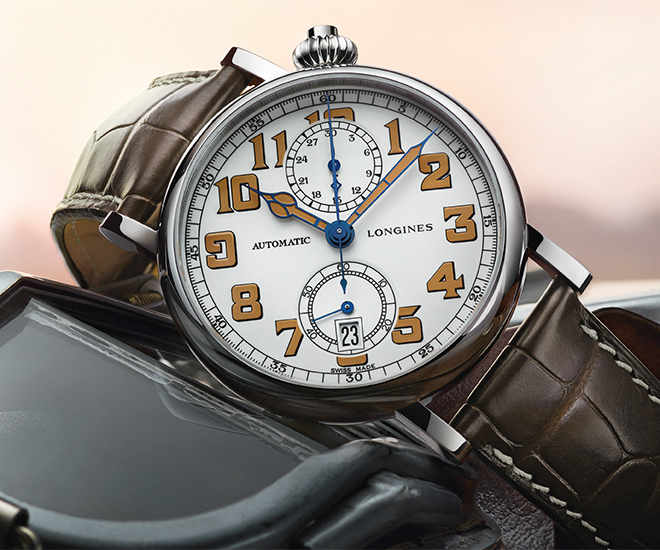 90 years on, the Longines Lindbergh Hour Angle watch which eventually took form in 1931, lives on in the brand’s archives as one of the most unusual timepieces which the company has ever conceived. 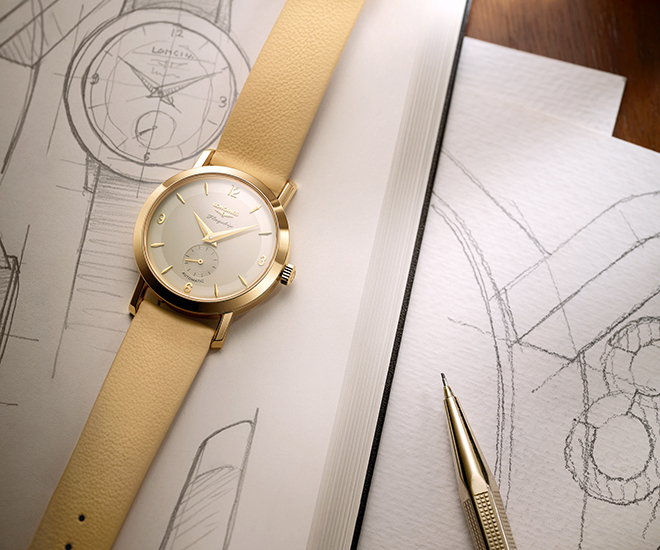 Thus, it is fitting that on the 90th birthday, the re-issue of that icon finds itself lovingly re-created in the same form, aesthetics and spirits of that very watch which cemented Longines’ reputation for timing and precision. 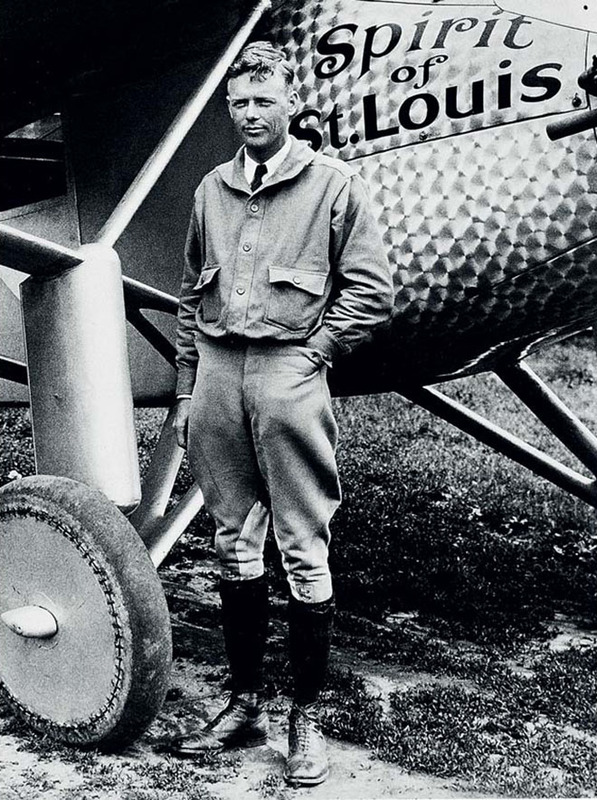 In weather conditions less than ideal, Charles Lindbergh boarded the aptly named Spirit of St. Louis and went through his pre-flight checklist, many of the conditions would likely not pass muster by modern aviation standards. Nevertheless, Lindbergh has dream and no amount of potential turbulence from stormy weather was about to dissuade the aviator from taking the Spirit of St. Louis across the immense waters known as the Atlantic. Charles Lindbergh conceptualised the Lindbergh Hour Angle watch crucial to pioneering aviators of that century. Armed with the bare minimal essentials required for the flight of an aircraft, Lindbergh chose to forgo even his radio and parachute just so he could make his non-stop flight from Roosevelt airport states-side to Bourget airport, Paris. Indeed, the spectacle and macabre of such a daredevil attempt was a delight to 1900s audiences as it is to contemporary palettes. 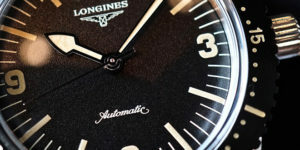 More importantly, his was a journey that would be timed by Longines, then, the official timekeeper for the Fédération Aéronautique Internationale (FAI) since 1919, it was this historical connection which would shape the brand eventually. 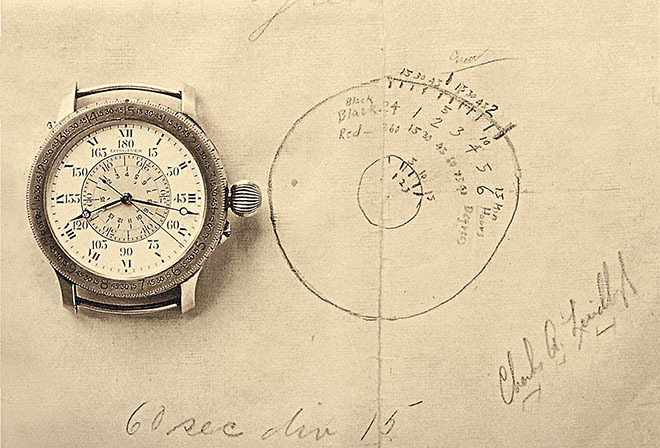 The sketch of the Lindbergh Hour Angle watch which would allow pioneering aviators to conquer the skies. Forgoing almost two days sleep, Lindbergh almost succumbed to the drowsiness but having surmounted the wall of clouds over the Atlantic, the 25 year old American pilot was not about to let his 5,850 km 33.5 hour journey transatlantic journey end with the ignominy of sending his propeller plane into the dust. Like Doc Emmett Brown hitting his head and developing the Flux capacitor (the invention which makes time travel possible), Lindbergh’s subsequent exhaustion (and some say delirium) would inspire his inventiveness. It was during his recovery that he would create a true aerial navigation instrument and his sketches would take the shape of the Lindbergh Hour Angle watch and he had only trusted one company to make it. 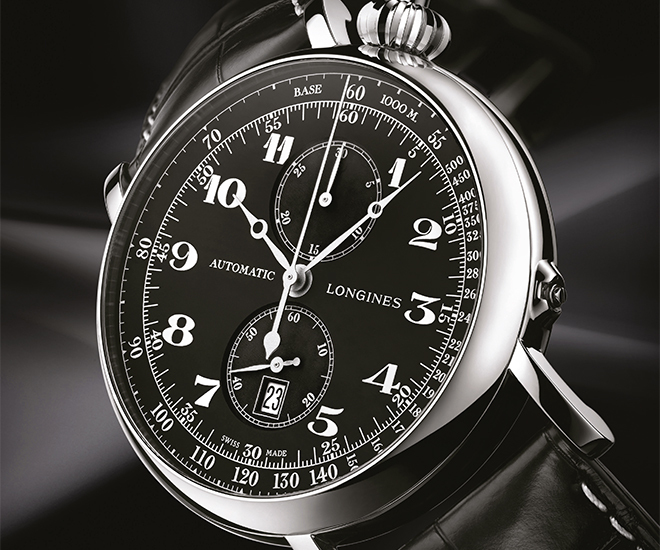 The brand which timed his historic flight with accuracy – Longines. As far as pioneering aviation watches go, the Longines Lindbergh Hour Angle watch is the only one which can claim to be a dependable pilot’s companion. It was designed by Charles Lindbergh to be able to precisely calculate longitude and thus determine an exact geographical position and it became an essential navigation tool for an entire generation of pilots and navigators to tame the new frontier; back in the day, the new frontier was “navigated” (a word used loosely) by a system know as “dead reckoning”, which to me is essentially an educated guess based on airpseed and compass direction and then periodically updating your charts and maps with those inputs – thus, if both airspeed indicator and clock is correct, you should be where you think you are but it didn’t account for other variables. As a stop gap, before the invention of the Lindbergh Hour Angle watch, pilots combined dead reckoning with another useful “navigation” technique – looking out the window. If this doesn’t sound like an ideal way to fly, it’s because it isn’t. The Lindbergh Hour Angle Watch provided computations for determining celestial lines of position. Its bezel and dial allowed navigators to read off the hour angle of a celestial object at Greenwich, eliminating a simple but troublesome calculation. Today, it rests as an object of legendary importance at the Smithsonian. Equipped with a rotating internal dial and longitude indication (degrees and minutes of arc), the Lindbergh Hour Angle watch is lovingly re-issued, faithful to the original to the nth degree save for the modern automatic winding L699.2 calibre with 46-hour power reserve. 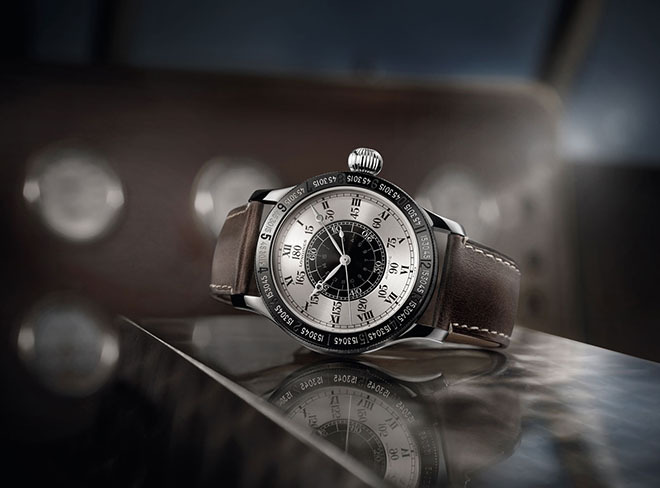 The modern reference L2.678.4.11.0 Lindbergh Hour Angle watch retails SGD 7,190. 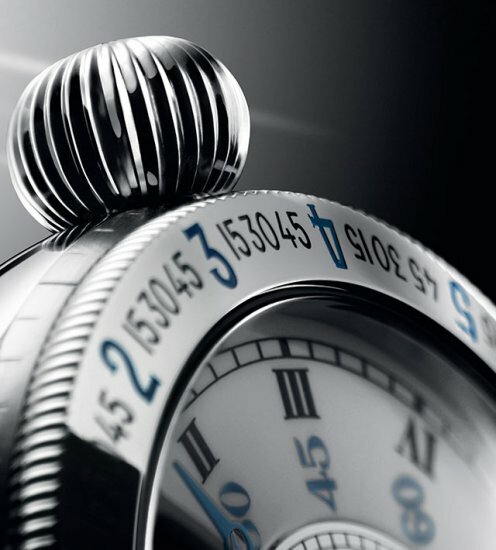 The Longines Lindbergh Hour Angle watch is historically accurate right down to “onion” crown.